a. Cement substitutes are used to replace cement which generates green house gas in its production process. b. Cement substitutes provides a way for reusing of byproducts from different industrial processes like slag and many others. c. The materials used as cement substitutes conserve energy as compared to cement as they require less energy for repurposing. d. And at last environmental advantages are achieved using cement substitutes. e. The materials used as cement substitutes conserve energy as compared to cement as they require less energy for repurposing. f. And at last environmental advantages are achieved using cement substitutes. 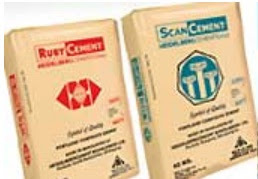 The scenario of United States is, it imports 20% of national cement requirement. Thus the use of cement substitutes saves economy and energy to a great deal. Cement substitutes are generally suggested to use in large scale projects than a small residential construction project as most of the contractors are not familiar with cement substitutes and special care are required to use these. Thee important things to be keep in mind that the cement substitutes are not aggregate substitutes and additives. The example can make clear say, ground scrap rubber, concrete additives (like air-entrainment agent or plasticizer), ground glass are not cement substitutes. The use of slag or class F flyash can control alkali-silica reaction. Cement substitutes render less permeable concrete and give protection to the reinforcing steel against corrosion. The use of slag as cement substitutes of cement can limit sulfate attack from waste water and sea water. But do you know flyash is harmfull to strength, it absorb moisture and reinforcement get corosion. I read your post and it contains very useful information. Thanks for this useful article.